From its inception in 1963, Doctor Who’s unique format allowed adventures not only in the modern age, but also the chance for audiences to be transported back in time to iconic periods of history, or flung forward and out into the furthermost reaches of space and all the weird and wonderful worlds of the galaxy and beyond. 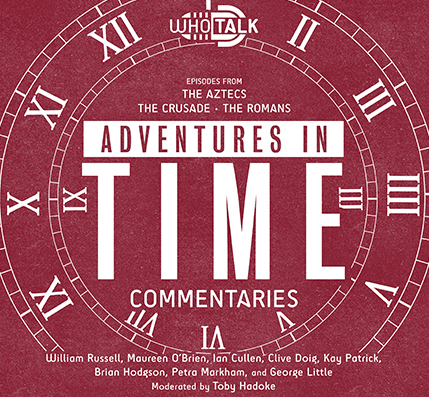 Adventures In Time contains commentaries for individual episodes from some of Doctor Who’s historical escapes starring William Hartnell, including The Aztecs, The Romans, The Crusade and a bonus interview on Marco Polo. 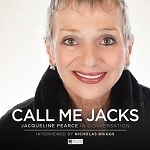 Moderated by actor, comedian and cult television enthusiast Toby Hadoke, this release features Maureen O’Brien, William Russell, Julian Glover, Petra Markham, George Little, Ian Cullen, Clive Doig, Brian Hodgson and Kay Patrick.